We rode to the WAAAM museum on Tuesday, to see their collection of bikes, planes, cars, tractors and other 100 year old stuff. 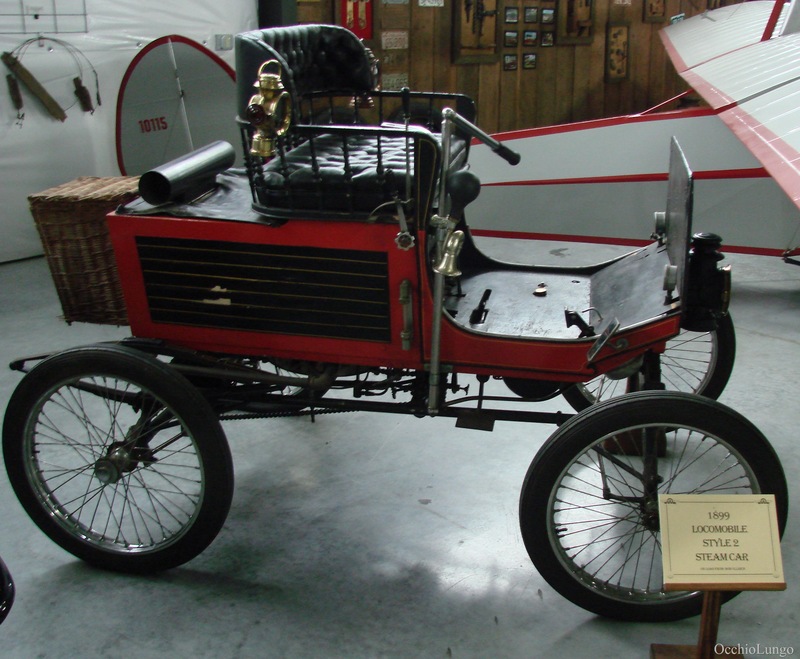 1910 Curtiss Pusher. This one is under restoration, and should be ready to fly soon. Note the bundle of control cables near the front wheel, and the prop out back, which pushes the plane forward. 1930 Heath Longster. With 4 cylinder Henderson motor. And a 1923 Henderson bike. AJS. complete with Cowey speedometer, Lucas carbide lighting AMAC carb and other goodies. The rubber tube on the front downtube is a John Bull spark plug holder and the brass cylinder on the seat tube is a period fire extinguisher. This is one of John Stanley’s bikes. Have you ever wondered what was inside a Model T transmission? The planetary gears are in the bottom left, bands are top center. Bell housing with pedals is top left. A close up of the Jenny’s motor. Note the push/pull rod. One rod opens both the inlet and exhaust valves. 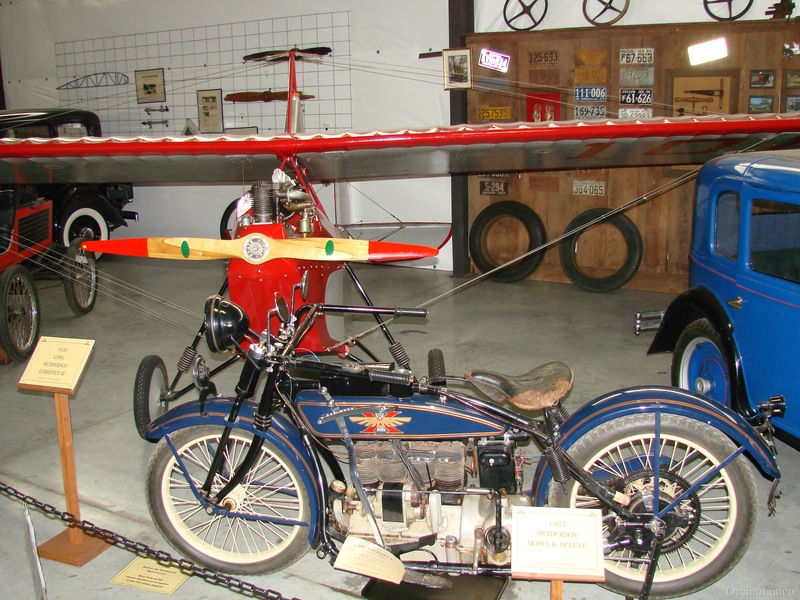 Similar to the Curtiss / Marvel motorcycle shown here. Which makes sense of course, both the plane and the bike were Curtiss designs.